・How can I change or cancel a reservation? ・How early can I reserve online? ・Can I select car make or color when reserving online? ・Until what age are child seats required? ・Can I reserve a child seat in online reservation? ・Do rates differ depending on the rental period? ・Can I choose a different return location? ・What kind of driver's licenｃe do I need to drive in Japan? ・I hold an IDP. Can I rent a vehicle? ・Is there an age limit? ・What is the maximum number of passengers allowed? ・If I forget to bring my license that day, can I still rent a vehicle? ・Must all potential drivers present an International Driving Permit? ・When should payment be made? ・Are there an additional fees based on distance driven? ・Can I reserve a non-smoking vehicle? ・Can I reserve a car navigation system? ・Can I reserve options such as winter tires and ski racks? ・Will you bring my rental car to the airport? ・What should I do after arrival in airport? ・How long does it take from airport to your office? ・What documentation should I bring? ・What if I'm late for pick-up? ・What should I do when flight cancellation prevents me from being on time? ・Can I rent a ETC card and buy a Hokkaido expressway pass? ・How much does ETC card cost? ・Must all passengers wear seatbelts? ・Can I change return my vehicle to a different rental locations after pick-up? ・What should I do if I'm returning late? ・Do I need to fill the vehicle with fuel? ・What fuel do your vehicles use? ・What if I left my belongings in the car? ・Will you come to a location I request to pick up the car I rented? ・What should I do if I'm involved in an accident? ・What if there's a little scratch or minor damage? ・What happens when I get a Violation ticket? ・What if the rental car got damaged while parked in a parking lot? ・What if I have a flat tire? ・What should I do if there's a strange noise? ・What do I have to pay when I cause an accident? ・What is non-operation charge (NOC)? ・Do you have any additional options? ・What is collision damage waiver (CDW) ? ・What is the NOC insurance coverage? ・What is the JAF coverage? Changes: Please make a new reservation online, then cancel the previous reservation. Cancellations: Cancellations can be made by online, by telephone, or by email. How early can I reserve online? From six months to 12 pm on the day before pick-up. Can I select car make or color when reserving online? No. Color or car make cannot be selected. Until what age are child seats required? According to the Japanese Road Traffic Law, the driver is required to use a child safty seat when riding with children under the age of six in a vehicle. Can I reserve a child seat in online reservation? Yes,you can reserve a child seat online at a fee. Do rates differ depending on the rental period? Yes,there are High season rate and Regular season rate in Hokkaido. Can I choose a different return location? Yes,additional fee is payable depending on return location. What kind of driver's licenｃe do I need to drive in Japan? You must have a valid local driver's licence to rent and drive a vehicle in Japan. IF you hold a foreigh driver's licence,you will need to apply for IDP from the country where your driver's licence is issued. *Holders of International Driving Permits issued in accordance with Vienna Convention (1968) by EU, or permits with other formats are NOT permitted to drive in Japan. *An authorized Japanese translation issued by Japan Automobile Federation or embassy is required if the driver holds driver's licence issued in Switzerland, Germany, France, Belgium, Taiwan, Slovenia and Monaco. I hold an IDP. Can I rent a vehicle? Your Internatinal Driving Permit must be issued under the Convention on Road Traffic of September 1949 (Geveva Convention). Eight people. 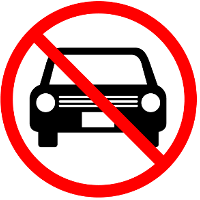 Limits vary according to your International Driving Permit. If I forget to bring my license that day, can I still rent a vehicle? Unless you present your licenｃe at the time of pick-up you will not be able to rent a vehicle. Driving without a licenｃe is a violation of traffic laws.Please do not forget your International Driving Permit. Must all potential drivers present an International Driving Permit? Yes.It is adviseable for all potential drivers to present your International Driving Permit at the rental site. In an accident, insurance will not cover a driver not listed in the rental agreement. Renting to a driver whose licence has not been shown to staff is considered subletting to a third party. When should payment be made? Please settle the payment at the time of car pick-up at the pick-up location. Payment for extended rental period,fuel charges and toll fees on ETC card must be paid upon returning. Payment for extended rental period,fuel charges and toll fees on Electornic Toll collection System(ETC) card must be paid upon returning. In principal, please pay by a credit card. Can I reserve a non-smoking vehicle? Can I reserve a car navigation system? All vehicles are equipped with Multi-Lingual GPS navigation free of charge (Japanese / English / Chinese / Korean). Can I reserve options such as winter tires and ski racks? You can reserve these options at selected locations when reserving a vehicle. Ski rack options is chargeable at 1,080 yen per rental. Winter tires option is free in Hokkaido. Will you bring my rental car to the airport? No. Delivery service is not available. What should I do after arrival in airport? You may proceed to our counter at the airport. We will take you to our location from the airport by shuttle bus. How long does it take from airport to your office? What if I'm late for pick-up? Contact the pick-up location of your reserved rental or reservation center. Reservations are honored up to one hour after scheduled pick-up time. After that, they may be automatically cancelled. In addition, prescribed cancellation charges may be incurred. What should I do when flight cancellation prevents me from being on time? Contact your pick-up location or reservation center as soon as you know about the cancellation. Can I rent a ETC card and buy a Hokkaido expressway pass? Yes,you can rent and buy only from Sapporo,New Chitose airpoｒt,Hakodate,Shin-Hakodate-Hokuto, Asahikawa. *ETC card and Hokkaido Expressway Pass are only available as below list. 1. Pick-up and return location is the same. How much does ETC card cost? It costs 540 JPY (per rental). Yes,all passengers must wear seatbelt. According to the Japan Road Traffic Law,rear-seat passengers are also obliged to wear them. Can I change return my vehicle to a different rental locations after pick-up? What should I do if I'm returning late? Please contact pick-up location or return location or reservation center as soon as possible. You'll pay additional late fees at return location. If you're late without contacting your return location, additional prescribed penalties will be incurred. Changing contract time without notifying us is a breach of rental contract.You will be liable for any damage incurred. Do I need to fill the vehicle with fuel? As vehicles are rented out with a full tank of fuel, customers are required to re-fill their tanks with the fuel before returning the vehicle. Please present the fuel receipt. If you are unable to return the vehicle with a full tank of fuel, you will be charged based on distance travelled, or on the remainder shown on the vehicle's fuel gauge. This may result in fuel charges higher than the actual fuel cost. What fuel do your vehicles use? Our vehicles use regular gasoline (red nozzle). Contact your return location as soon as possible about your forgotten or lost property. We will do our best to search for your belongings, but we are not liable for any loss or damage, as stated in our rental contract. In the event that you are involved in an accident, please immediately take the following 3 steps please full stop in order to be covered by insurance and compensation coverage. (1) Provide aid to the injured. Then, promptly move the rental vehicle out of the way to avoid blocking other traffic. (2) Call the police at 110 to report the accident. Both parties, regardless of who is at fault, are obligated to report the accident to the police. Please complete the necessary procedures, as the accident report (jiko shomeisho) will be required at a later date. (3) Contact Japan Automobile Federation(JAF) and inform them of your pick-up location. Regardless of the extent of damage, it is treated as an accident. Report to the police and contact pick-up location. If you return your rental car without required procedures, insurance compensation won't be applicable and any damage incurred shall be your responsibility. What happens when I get a Violation ticket? Go to the police station that is written on the ticket , complete all required procedures, and pay the fine at a designated financial institution before returning the car. We will check dated documents including payment receipt at return location. What if the rental car got damaged while parked in a parking lot? Be sure to do the following in the event of a hit-and-run as below. You will be liable for deductibles. (1) Call the police at 110 to report the accident. Driving a car with a flat tire is very dangerous. Park at a safe place and contact to JAF. ※ Customers will bear repair cost of a damaged tire, costs of a tire, or lost hubcaps. Immediately park the car at a safe place and contact to JAF. In case of an accident, the following amount, set as the maximum limit, will be covered by insurance and other means. However, customers will be charged for damages resulting from accidents that either violate the Rental Agreement of the company or fall within the disclaimer clause of the insurance policy, or those where a proof of accident cannot be obtained from the police. There is inculded insurance as above but you should pay the deductibles if you have an accident. What do I have to pay when I cause an accident? You will have to pay for deduｃtibles(Property Damage Liability 50,000 yen,Vehicle Insurance 50,000 yen) and Non-Operaction Charge(NOC). ※ Towing fee will also be payable when you use towing service. If a vehicle requires repair or cleaning due to a traffic accident, theft, break down, scratch, or other causes not attributable to JR Hokkaido Rent A Car,the customer will be charged an NOC as part of the compensation for loss of use during the repair or cleaning of the vehicle. Do you have any additional options? Yes,we provide the Collision Damage Waiver(CDW),NOC insurance and JAF coverage. What is collision damage waiver (CDW) ? CDW is an optional coverage which waives the customer's responsibility for paying deductibles regarding rented vehicle and property damage caused in the event of an accident for the vehicle. What is the NOC insurance coverage? NOC insurance coverage is an optional coverage which waives the customer's responsibility for paying NOC caused by an accident. What is the JAF coverage?